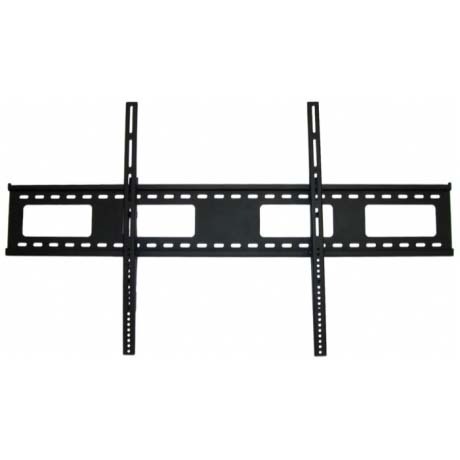 More on the ProMounts Extra Large Tilting Wall TV Mount for 60-100 inch Screens (Black) UT-PRO410 below. Ultra-slim design is only 2 .84" from the wall, yet allows ample room for cables. Tilt range from negative 15 degrees to up to 20 degrees of positive tilt allows for one of the most versatile Tilt mounts in the Market. VESA compliant - all standards. Attaches to a minimum of three to four studs up to 24" apart (within a 48" span) or similar three hole spacing in concrete or aggregate walls. All screen and wall mounting hardware included. Includes security hardware and accepts padlocks. 60-100" Flat Screen TVs up to 400 pounds. *Also available in a Flat/Fixed model. See the UF-PRO400 in the "Related Products" section, below, for more information. Vertical Hole-Spacing: up to 28.9"